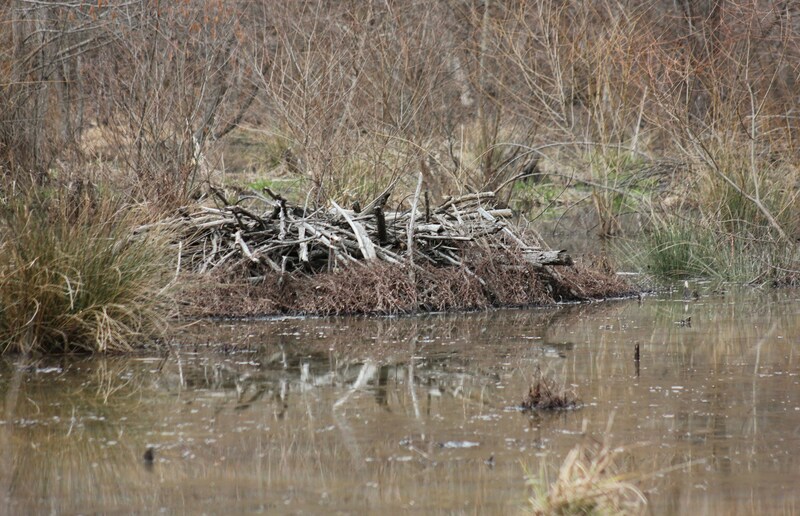 Went to the upper swamp area looking to see how the duck population was doing and came across this beaver hut. This is the first hut that I have seen on the property, but then again I haven’t been here or the lower swamp for two years. I can see where beaver have made their home in the pond by digging out tunnels in the bank. I have posted before about some of the damage they do, but for now it is nothing so serious that something has to be done about them. This entry was posted in Wildlife and tagged Beaver, Beaver Hut, Environment, Pond, Swamps by Mud. Bookmark the permalink.